Fishing has been good and in many cases, very good. Most everybody that has been fishing has been catching numbers of slot fish, many in the 25″ to 29″ range. Everything from now until April 15th over 19″ must be released. There have been some big sturgeon caught, also. I took the river boat out of the garage and was going to fish a little on Saturday when it started to rain, got windy and turned cool. Being the fair weather fisherman that I’ve gotten to be, I’ll wait for a couple of days and then try it. Bruce’s son, Chad, was up for a couple of days and fished the river near the Wheeler’s Point area. 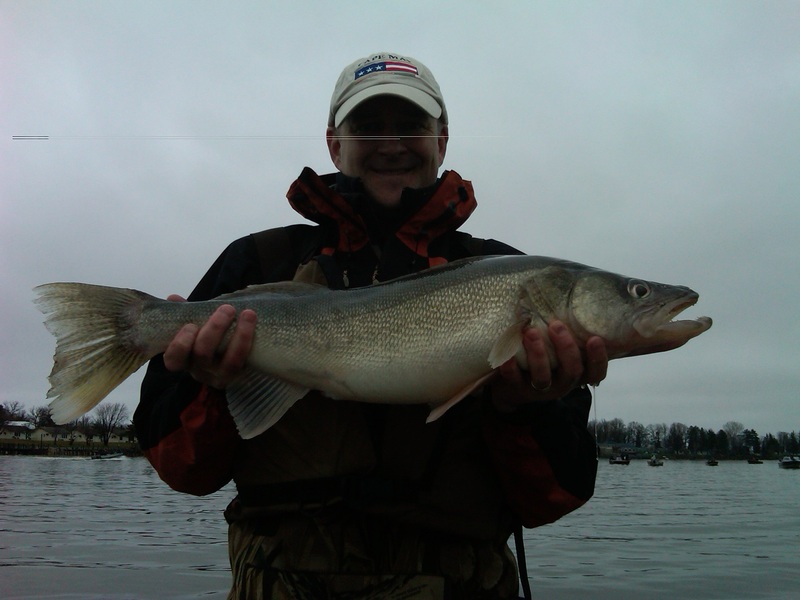 He caught a 29-1/2″ walleye and some other slot fish. He was just one of many fisherman enjoying good fishing.